LONG BEACH ― What does Shark Week and this year’s Ullman Sails Long Beach Race Week have in common? Both events kick off on June 23 this year. Shark Week, just the same, might as well be a sub-theme of the Ullman Sails race, what with recent shark sightings off the Long Beach coast. Great white sharks were sighted off the Long Beach peninsula at the same time as the races last year. As many as 10 great white sharks have already been spotted off the Long Beach coast just ahead of this year’s race. Sharks aside, the Ullman Sails Long Beach Race Week takes place over three days from June 23 to 25. Both Long Beach Yacht Club (LBYC) and Alamitos Bay Yacht Club (ABYC) host this three-day event. More than 100 boats are expected to participate. The races include a variety of classes of boats covering various courses on the water. The One Design and PHRF buoy racing will take place in one of two ocean courses or within the breakwater. 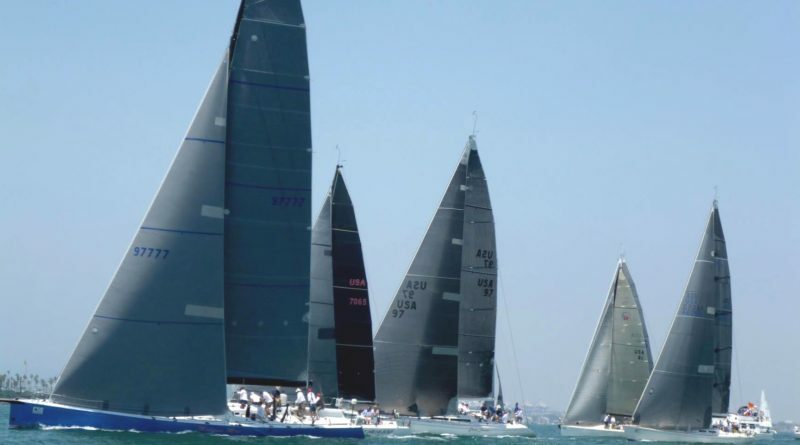 Those participating in the random leg PHRF and Orca will race around San Pedro Bay. score, whose skipper sails the series with a minimum of three family members aboard including the skipper,” as stated on the Long Beach Race Week website. Three teams representing one yacht club or one geographic area can also register for the Yacht Club Challenge. One crew from each team must take part in the Catalina 37 class race. Racers can start each day of the race with a complimentary hot cup of gourmet coffee at LBYC. ABYC is having a party following the Friday races. LBYC hosts a rum party following the Saturday races. Trophies will be presented at LBYC on the final day. A water taxi will be available to transport participants between LBYC and ABYC. Participating yachts in need of mooring can be assigned to one by contacting LBYC’s Waterfront Director at raceoffice@lbyc.org or 562-493-5173. The deadline to register is June 20. Details about the races and registration are available online at lbrw.org.